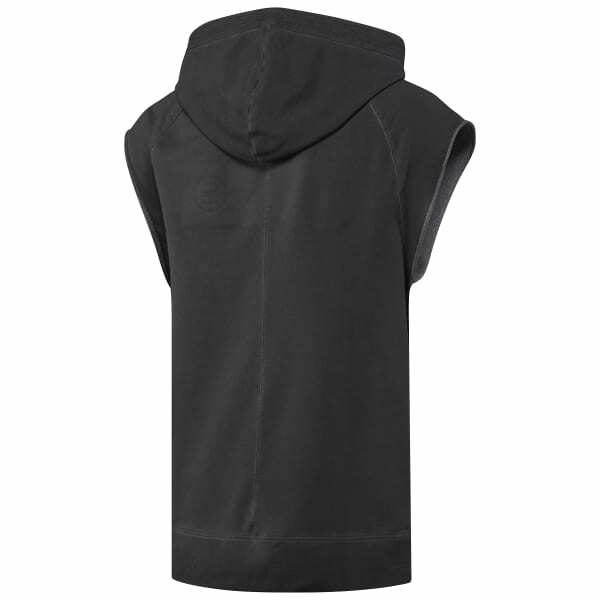 Slip on this sleeveless men’s hoodie for stellar shoulder mobility with core warmth. The moisture-wicking treatment keeps sweat controlled as your workout burns on. Twist and move with added coverage from the dropped hem. Plus, herringbone tape applique amps the visual story.